Many homeowners are blissfully unaware of whether the attic venting in their home is sufficient, whether the ventilation structures are properly placed, or whether the venting is appropriate to the home’s architecture. Yet, the importance of attic ventilation cannot be overstated. At Energy Efficiency First, as professionals applying the principles of building science, we commonly educate our clients about the ways in which their homes work as a system. It is our job to understand the consequences, intended or unintended, that changing one part of a home can have on other components or areas of the home. Attic venting is a crucial part of a home’s moisture and heat management system. Attic ventilation is usually passive in nature and relies on convective air flow–intake and exhaust. Cooler air is drawn in through the lower vents, then moves along the eaves, then rises to the top of the attic where it passes out through the upper vents. By venting moisture and heat, this process allows a home to be more energy efficient. It helps preserve the integrity of a home’s building components, making it more durable, and lessening the need for costly repairs. 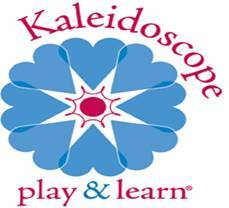 It also helps prevent the growth of harmful mildews and molds that can damage human health. Generally speaking, more attic ventilation is better than less, especially if the home’s building envelope at the thermal boundary is well air sealed so that any excess attic ventilation is not able to draw conditioned air from the home’s living space. When we see a home with a problem related to attic ventilation, it is usually from too little. We have found structures built without the building code’s minimum ventilation requirements. We have also found attics where a home improvement project was done in a manner that blocked, and choked off, the otherwise adequate lower ventilation structures. If you have concerns about your home, we recommend asking a professional to evaluate your home’s ventilation system. This evaluation is a basic part of an energy audit. Two culprits cause most of the building-durability and health problems associated with improper attic ventilation –moisture and heat. Moisture is created inside a home each time someone takes a shower, cooks, does dishes, or does laundry. Moisture from these activities will almost always make its way to the attic. 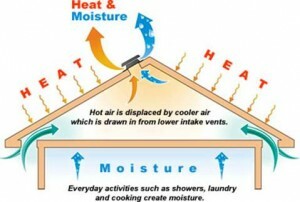 Moist air is drawn to the attic in two ways. The ﬁrst is through a process known as “vapor diffusion.” Water vapor naturally migrates from high to low humidity conditions –such as from the living space to the attic. The force of vapor diffusion is so great that moisture will even travel through sheet rock and vapor barriers designed to retard this process. The second way is by air moving through openings cut into the building envelope. Such openings are common and include recessed lighting fixtures and attic hatches. If bathroom or kitchen fans are not properly ducted to the outside, the migration of moisture to the attic is more pronounced. Mold and Mildew growing on the underside of a roof. A humid environment is the perfect place for mildew or mold to grow. Mold growth in attics causes a health risk for the people living in the home, and can cause deterioration of the interior building components. Proper ventilation reduces moisture build up and minimizes the opportunity for mold to grow, which prolongs the life of your home’s building components and reduces health impacts. In a moist environment, rust can form on metal components like nails and fasteners, which can eventually weaken and fail. Warped roof decking can occur after excessive moisture seeps into the roof decking and dissolves the adhesives that hold them together. The decking warps or sags between the rafters. Deterioration of the roof system, including the underlayment and shingles can be caused by excessive heat and moisture not being vented out of the attic. 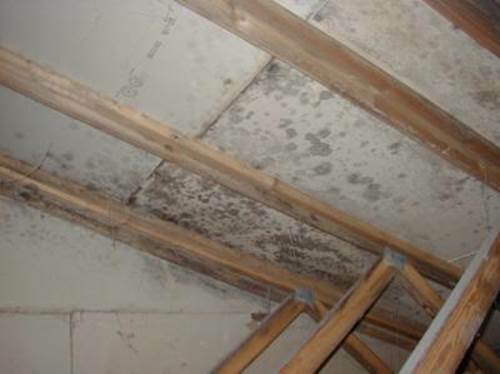 Unvented moisture in cold weather results in compromised roof structure, lower energy efficiency and damaged building components below the attic. During cold weather, proper ventilation helps prevent moisture from condensing on the roof, the structural members, the insulation, and the framing and sheetrock below the attic. Problems arise during cold temperatures when warm, moist air from the home reaches the attic, is not vented to the outside, and it lingers in the cooler and drier attic. 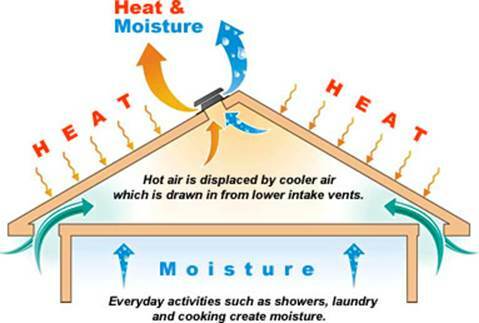 As the dew point is reached, water vapor held in the warmer air condenses on cold attic surfaces — building components, such as rafters, trusses, and roof sheathing. See figure 2. In the winter, during low temperatures, the condensed moisture can appear as frost. Frost collection on the underside of a roof. This moisture causes damage in two ways. First, moisture condensing on the roof’s structural building components will soak into the wood. This can lead to wood rot and the deterioration of roofing materials. Second, moisture eventually will drip onto the building components below. If too much water soaks into the insulation, it can become compressed and lose its insulating power. 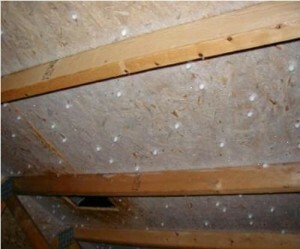 We have even seen ice crystals that formed throughout fiberglass insulation. When the insulation is in this condition, it loses some of its insulating power. This leads to greater heat loss, colder rooms, a greater demand on the furnace, and to higher utility bills. Dripping moisture also can penetrate into the attic floor and, eventually, into the ceiling below. If this occurs, the top-floor ceilings may exhibit water stains and paint damage. When this type of damage is visible, that is a good chance that the framing material behind the sheetrock has also been damaged by moisture. Unvented heat in the summer deteriorates roofing materials and lowers energy efficiency. During hot weather, proper ventilation can protect roof shingles, make your home feel cooler, and reduce air conditioning costs. See figure 1. In hot weather, temperatures inside an improperly vented attic can climb to over 150 degrees Fahrenheit, making it feel like a sauna. These high attic temperatures can lead to accelerated shingle distortion and deterioration. These high attic temperatures also can lead to higher energy consumption: Typically, on a hot day, the upper rooms of a home are warmer because warm (lighter) air rises while cooler (denser) air falls. However, when improper attic ventilation allows the attic to become super-heated, the phenomenon of downward heat migration occurs (through the attic floor and into the home’s upper floors). This makes the upper floors of the home even warmer. The extra heating of the upper floors is not usually alleviated by the night time; an inadequately ventilated attic seldom loses enough heat overnight to compensate for the heat gained during the day. This effect is magniﬁed in modern homes with heavier insulation that prevents heat from escaping from the upper floors. The extra heating of the upper floors due to the downward migration of heat causes homeowners to run mechanical equipment, such as air conditioners and window fans, longer than they otherwise would in order to cool down the home. In this way, inadequately ventilated attics contribute to greater energy consumption in higher utility bills during the summer. Unvented heat in cold weather results in ice dams. Ice dams can form at the edge of a roof because warm air trapped at the top of the attic can melt snow on the roof that, then, freezes as it runs toward the lower, cooler area of the roof. 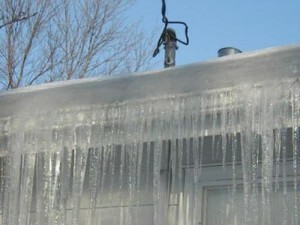 Ice dams can become a huge problem for homeowners. Warm air finds its way into the attic, during winter, because the upper floors of most homes experience some heat loss through the insulation, even well insulated homes. Because warm air rises, the upper portion of an attic is always the warmest. If attic ventilation is not sufficient to vent away this warm air and create a “cold roof” — a condition where the roof temperature is equalized from top to bottom — snow that has collected on the roof can melt. The snow that melted on the upper roof area will freeze as it moves onto the lower roof area if that lower area is colder than at the top, which usually is the case. Typically, the lower area of the roof will remain colder than the upper roof area, especially in the area just above the eave, where temperatures may not be much higher than the ambient outdoor air. If the outdoor temperature is well below freezing, conditions for ice dam formation are favorable. As the melted and frozen snow continues to freeze, melt, and refreeze, it creates a barrier, or dam, preventing water from running off the roof. Once dammed, water and ice can creep back up under the shingles and underlayment resulting in leaks. Proper ventilation and added insulation help mitigate this melting and freezing process and eliminate ice dams. Ice dams may not be a large concern at sea level, but in homes at higher elevations and inland this can be a serious issue. Proper attic ventilation can make all the difference on a hot summer day. Find the attic’s square footage. Include the garage because you want the garage to be properly vented, too. If the attic space is 50 feet x 40 feet, then the square footage is 2000 (50 × 40 = 2000 square feet). A rule of thumb is that attics should have one square foot of total net free ventilation area (TFNVA) for every 150 square feet of attic area — 1:150. Therefore, divide the square footage by 150 to get the TFNVA. There may be factors particular to a structure that allow a ratio as low as 1:300 may be used, but we’ll use 1:150 for this exercise. Dividing 2000 square feet by 150 nets a sum of 13.33 – that is 13.33 square feet of TFNVA is needed. Convert square feet into square inches as follows: 13.33 × 144. The number 144 represents that there are 144 square inches in a square foot — or 12 × 12. Multiplying 13.11 by 144 results in the sum of 1919.52 (round up to 1920). This is the total square inches of TFNVA needed. Because it is industry standard to measure vents in inches, doing this step will make it easier to do the next step. Calculate how many inches of low intake venting and how many inches of high exhaust venting are needed. This calculation is based on the rule of thumb that 40-50% of the ventilation should be low intake vents (soffits and eaves) and 50-60% of the ventilation should be high exhaust vents (near the roof ridge). 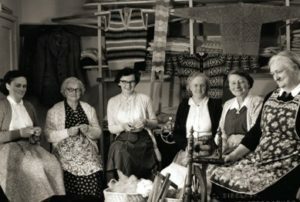 Multiplying 1920 by .40 results in a sum of 768 square inches – this is the number of intake, or low ventilation, inches needed. Multiplying 1920 by .60 results in a sum of 1152 square inches – this is the number of exhaust, or high ventilation, inches needed. Once you know the right amount of high and low ventilation, the next step is to select the correct ventilation structures to install and to install the correct amount. We commonly install up to eight different types of high or low vents. Different vents provide a variety of venting rates and have different visual aesthetics. Also, mesh screens, rain louvers, or combinations of both will reduce the Net Free Area of a vent. Knowing by how much, and knowing how to calculate that factor into your vent selections is important. Please feel free to contact us at Energy Efficiency First to help you determine if your home and your attic are correctly ventilated.